Chennai Express has breached the 100 crore net mark in domestic collections, at the end of the first weekend itself as yesterday netted a whopping 32.50 crores. Now, at the end of the first 3 days and the paid preview shows on Thursday, the movie has netted a total of 100.42 crores. A leading trade analyst in the South, has claimed that Chennai Express has netted 4.5 crores in the Tamil Nadu - Kerala circuits after the first weekend, which is another record. Chennai Express has now reached the 100 crore mark in India in least number of days (3.5 days), beating Salman Khan starrers such as Ek Tha Tiger and Dabangg 2 , which took 6 days each to reach this mark. The overseas markets have also seen remarkable collections and at the end of the first 2 days and the paid preview shows, the overseas gross is 35 crores. More records can be expected to tumble as the big August 15th holiday is just a few days away. 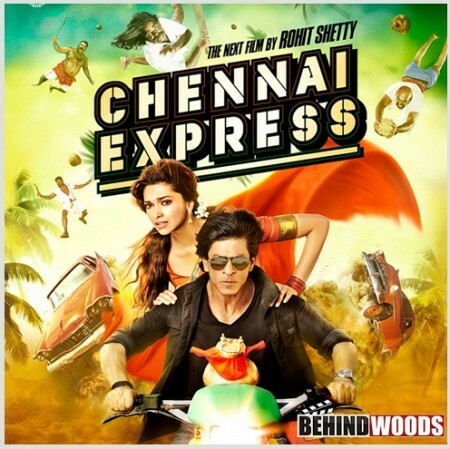 Chennai Express is already the second biggest ! Thalaivaa- it’s time for release! Shahrukh Khan is hesitant to expose! Shah Rukh Khan's third child arrives? This page hosts a weekly slideshow related to Tamil movies. Each slide includes a picture and some description about that picture. All the slides will have a recurring theme. People looking for actress stills, actress images, actor stills, actor images, movie stills, movie images, and other interesting topics, relevant issues in Tamil cinema will find this page useful. Chennai Express | Top Ten News.